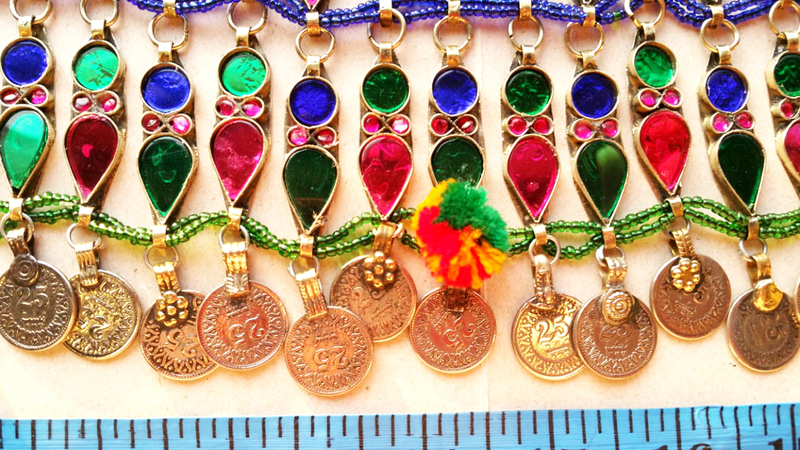 Click the button below to add the Kuchi Fashion Long Choker Pashtun Singer Necklace to your wish list. 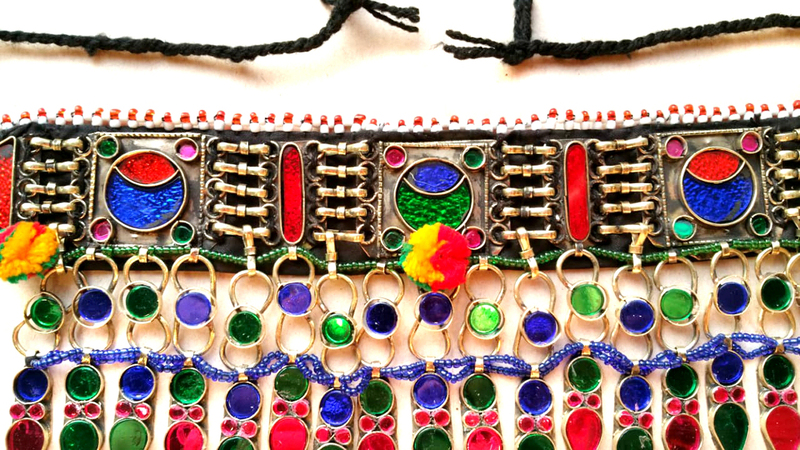 This is an Afghan Kuchi ethnic choker necklace. This fancy neckwear is made of German silver. 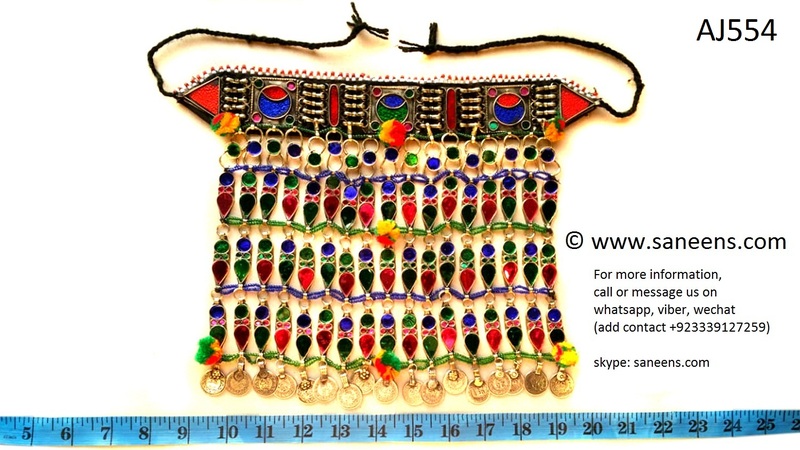 The necklace is nicely decorated with some gemstones and is commonly used to climax bellydance, Kathak and other traditional dances. This jewelry necklace is a slightly heavy. 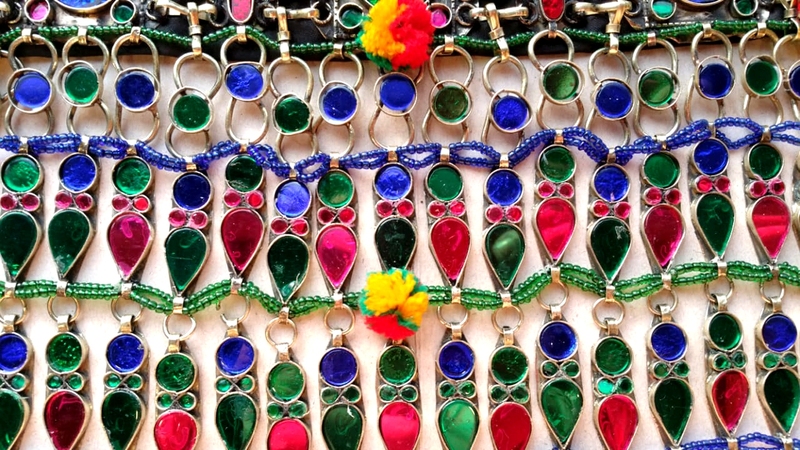 Traditionally, Afghan women commonly use to wear such type of jewelry to show that she is still unmarried. It is supposed best recommendation for belly art dance performances on cabaret concerts.